Senses are the primary medium of perception and logic is secondary. The human eye is able to get the information on the emotional level before the verbal message. Color is one of the most powerful tools for web design that starts communication and announces sender’s intentions along with the layout of a page. Wise choice of color in e-commerce store design aims to draw attention, to evoke customers’ emotions and desire, to drive conversions and boost the sales. In order to reach your audience in the most effective way, you should recollect some basic facts from color theory. First, the color wheel contains primary (red, yellow and blue) secondary (green, orange and purple) and tertiary colors (the mixture of primary and tertiary). Second, there are some color combinations which are considered harmonious. Third, there are some warm and cool colors. You should also distinguish between tints (white is added), shades (black is added) and tones (gray is added). And evidently the most important is the set of color schemes based on the color wheel. It provides possible combinations and shows those which are bad for texts. You can get a deeper insight into color theory in our ultimate Color Combination Guide brought to you by MotoCMS website builder. Color theory is a must know for web designers. Its thoughtful application helps to ensure better conversion rates. But color psychology is just as important. It doesn’t always rely on solid facts and can be ambiguous at times. Nevertheless, on the basis of color psychology, marketing has developed a set of its own rules to follow. 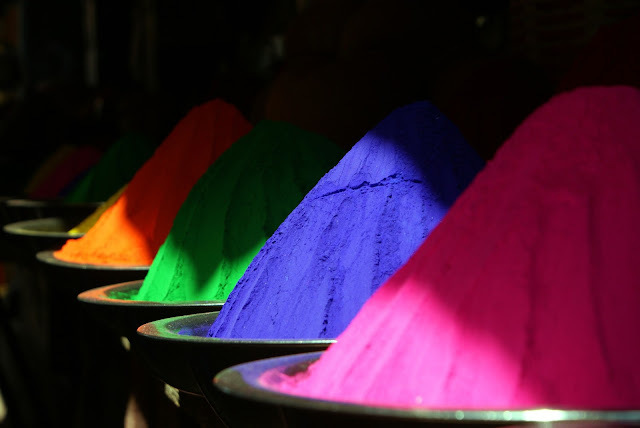 Color perception has been formed by several millennia of life within nature. People derive their color associations from the experience of threat, achievement or mere beauty of the surrounding world. Have you ever noticed how much we copy? Just have a look at the bright color palette of Thai pheasant which is replicated in Thai silk! It looks perfect as the embodiment of natural balance. The combination of colors and very special silky hues bring about the sense of beauty. Young audiences choose bright colors, meanwhile, adults tend towards more reserved and reliable color scheme. Besides, research in color combination has proved the efficiency of a multicolored image in comparison with other combinations. A black and white image is 20 percent less effective than a two-colored one, while multicolored is still 40 percent greater. While developing a design for an e-commerce store we should take into account the considerations of color psychology. Conversions also require our close attention to the research that draws preference lines for different types of products and audiences. Why? Because market strategists have long taught the customer certain standard associations, like, say, black color meaning luxury. Jeremy Smith in his article “How to Use the Psychology of Color to Increase Website Conversions” shares his observations on the use of color for marketing purposes. His handy although at times controversial tips lead to one important conclusion. He recommends to explore colors and create your own scheme for a particular product and audience. The type of goods and target audience define conversion strategies. Let’s have a look at some possible solutions for lifestyle products provided to you by MotorCMS. The design for a fashion apparel store has eggshell white as a background color for pictures. Rather subdued color palette suggests the feeling of chic and comfort. It aims not as much to create a contrast as to merge a person with the air, the park, the sea. Its pastel colors appeal to all sorts of audience – male, female, kids – without emphasis on a particular category. Reserved black frames and text icons drive the consumer to well-thought solutions. Another example of a fashion apparel store template creates the contrast by dimming the background picture. Its target audience is ready to make quick decisions. For that, it amply uses bright red color for sales announcements, prices, and conversion buttons. As we know, red color drives to action and that’s exactly what this color strategy does. The color scheme for a recreation store template appeals mostly to men. Who can be more interested in fishing, boating, camping, and predator chasing than male adventure seekers! What are the best colors for them? Against the black page, we can see emotionally and technically vivid pictures of gorgeous green and blue landscapes with some random insertions of bright colors. They suggest the sense of achievement. And red for buttons is again a pushy color perfectly fit for energetic men. As for health and beauty products, their priority audience is women. Any variations of purple, pink and lavender will make outstanding elements of any dominant color combination. Organic and health products bear a strong association with white and green – the colors of purity, youth, and natural vigor. Or have a look at Naturopathic Medicine Center Template. Green here in combination with soft pink and vibrant yellow suggests the harmony and wealth of nature. You can find more in our selection of MotoCMS Beauty Website Templates. When you consider an e-store design, begin with the image of the target group. Think of their requirements and expectations from the product. The color theory and color psychology will help you develop the optimal color combination. Finally, consider its application, namely, the colors of hero graphics, headline typography, borders, background patterns and colors, buttons, and popups. Equipped with the theory, analysis of the existing models, or with a ready-made website builder template, you are sure to win over your customer and boost conversions.